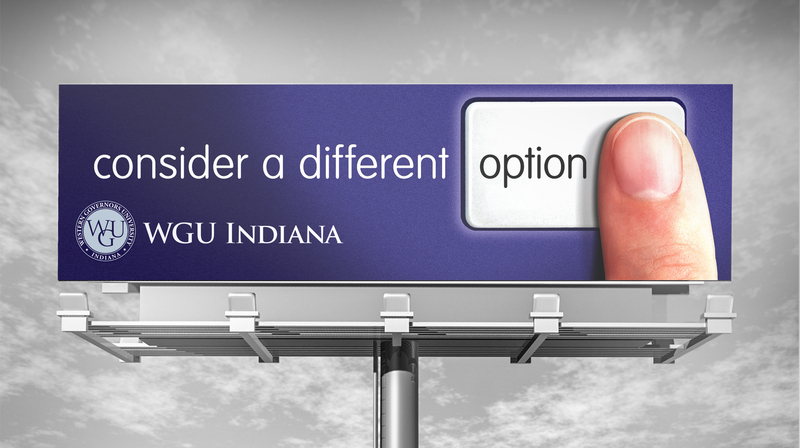 WGU Indiana, the first state-sponsored online university, needed help attracting more adult learners after its inaugural year. We worked with them to launch a statewide marketing campaign to build WGU’s brand as an accredited, affordable and respected university committed to the needs and aspirations of busy adults. In addition to a threefold increase in media coverage at the six-month mark of the campaign, applications and leads increased 23 percent and 65 percent over the previous year, respectively. 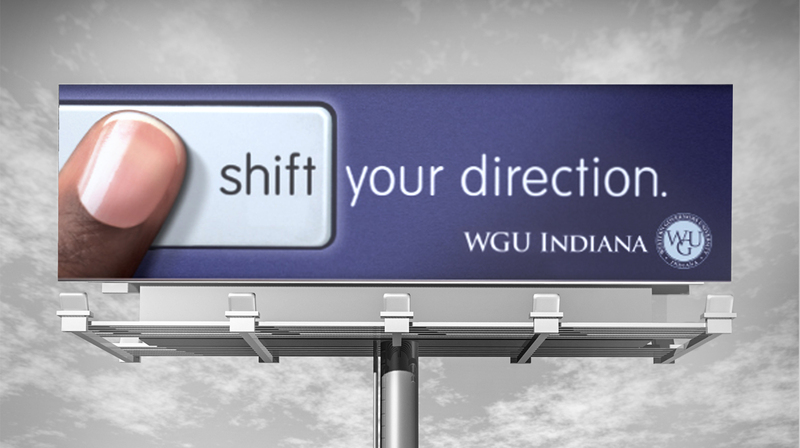 Leadership at the national Western Governors University headquarters liked the campaign for WGU Indiana so much, they asked Borshoff to tailor a second spot they could run in other states. Threefold increase in media coverage, 23% increase in applications and 65% increase in leads over the previous year.